Play Two Sevens online for free now! 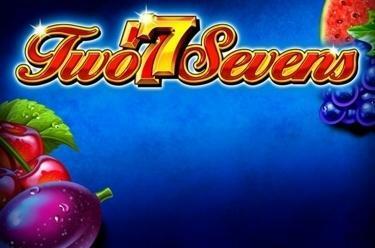 Two Sevens brings you multi-coloured, brightly coloured fruits and a fruity-fresh winning experience with the Lucky Number 7 twice. Our crunchy fruits are in the spotlight and - if in the right order - will fill up your account with Twists. But the real show starts when the two 7s have their big moment: Because then a jam-packed jackpot is waiting for you! 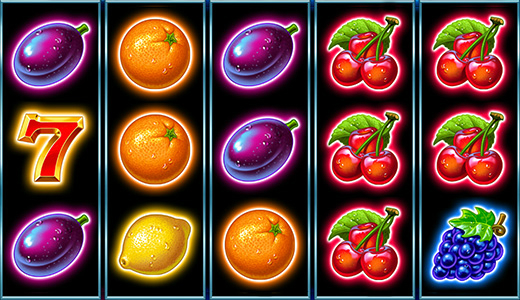 Sort out the fruity chaos by landing matching fruits along the win lines. You play on 5 reels and 5 winning lines. Ideally you place 5 identical fruits along the same line. You win if several identical symbols land along the same winning line consecutively from left to right. 5x orange 7 and 5x yellow 7 will get your tills ringing because Two Sevens has a common progressive jackpot for all bets and currencies. Both 7s will give you jackpot winnings - a combination of 5 yellow 7s along one line pays 100% of a jackpot for a maximum bet, 5 red 7s 40%. Both jackpot winnings will adjust to your current stakes and pay out the relevant share.